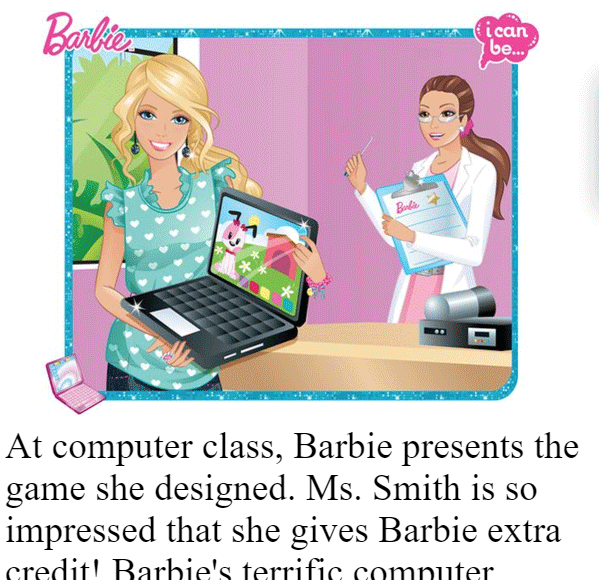 At computer class, Barbie presents the game she designed. Ms. Smith is so impressed that she gives Barbie extra credit! Barbie's terrific computer skills have saved the day for both sisters! "I guess I can be a computer engineer!" says Barbie happily.